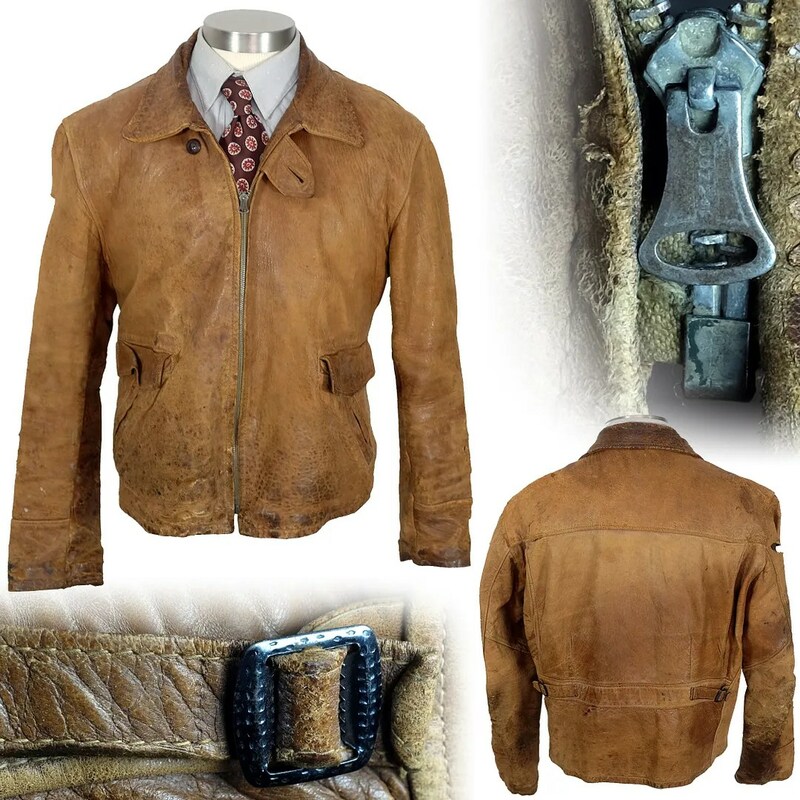 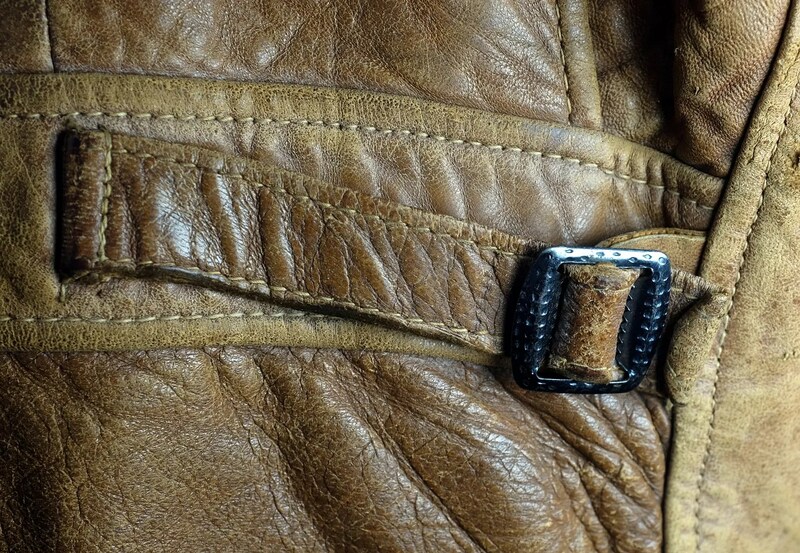 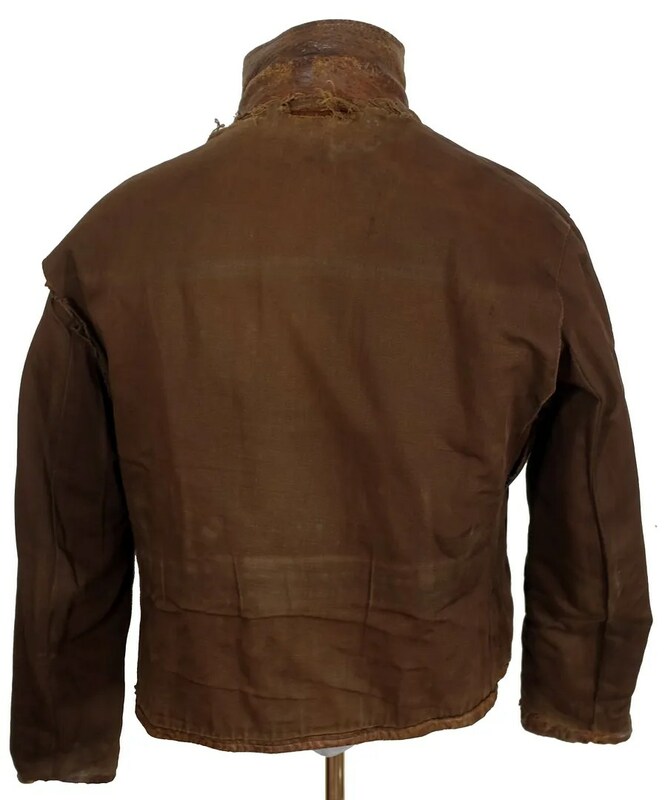 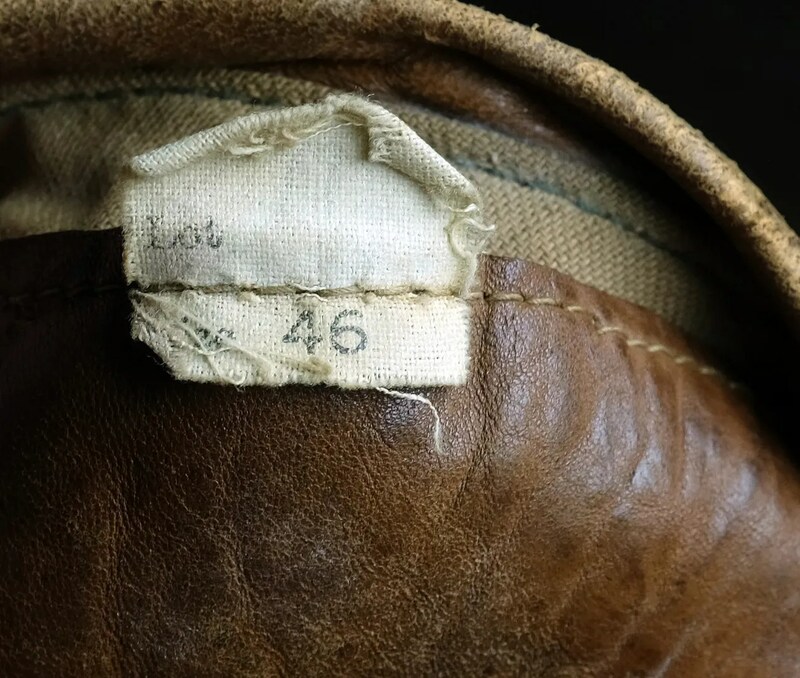 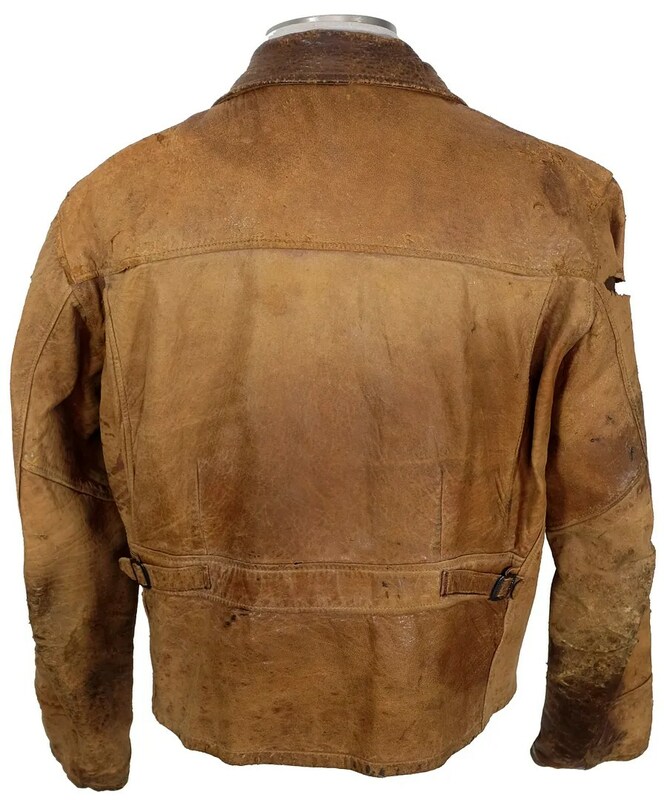 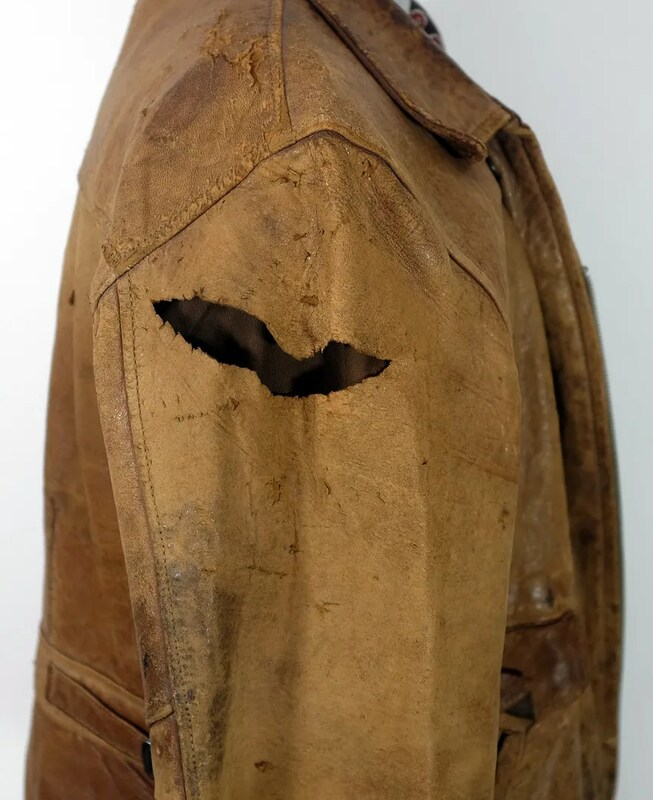 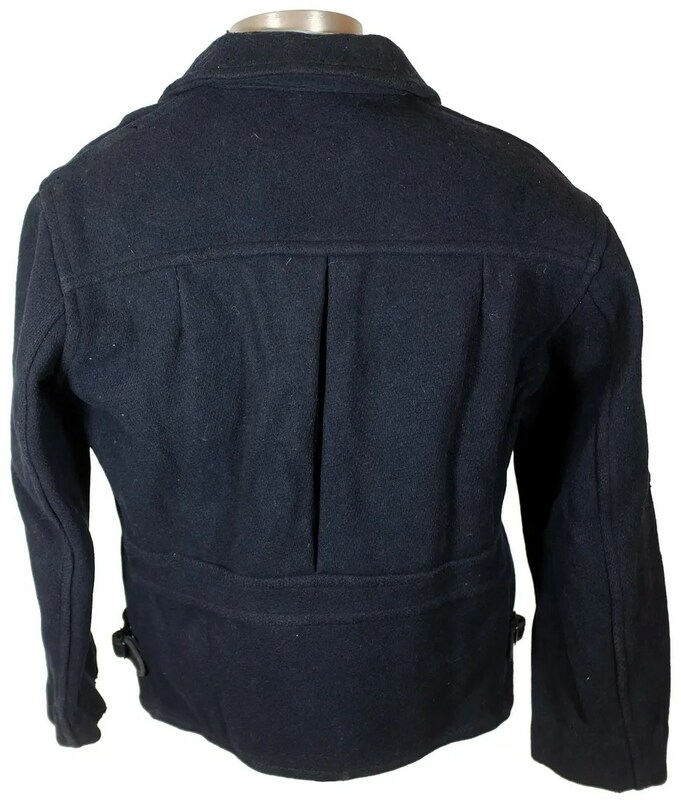 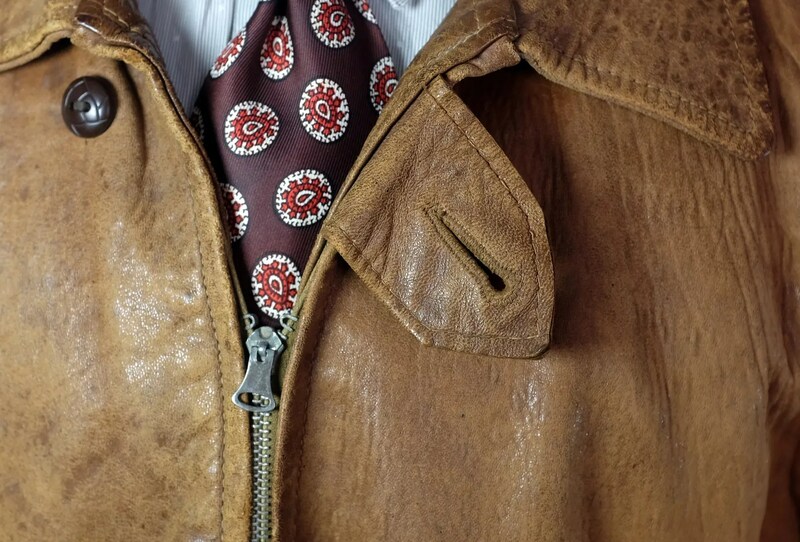 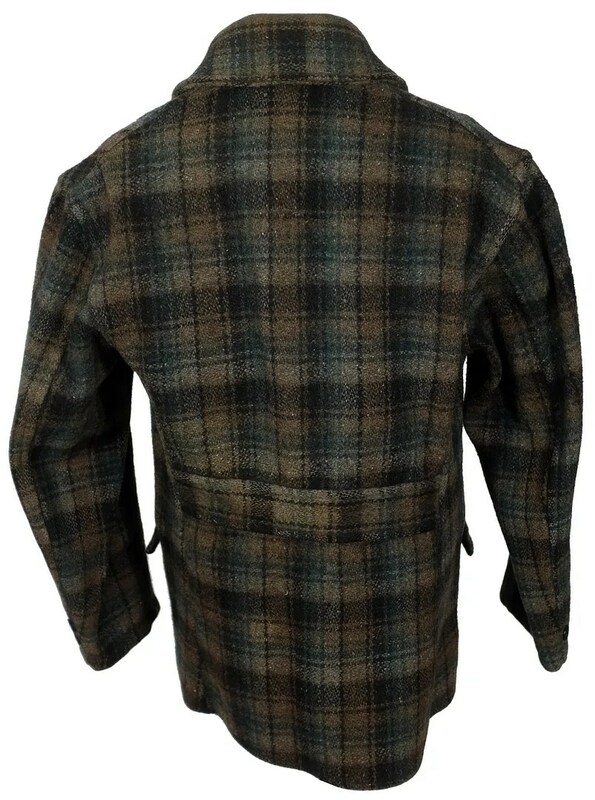 This vintage jacket was made in the late 1930s-early 1940s. 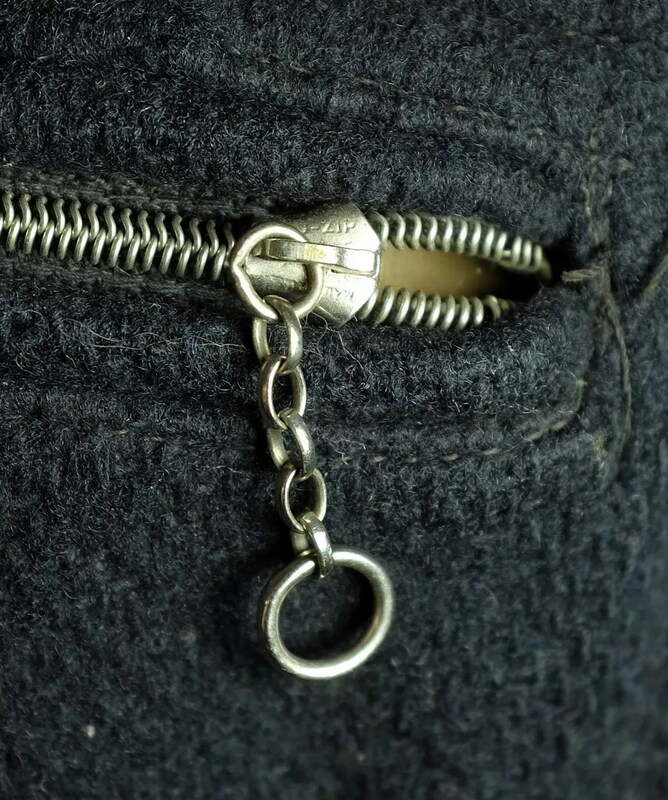 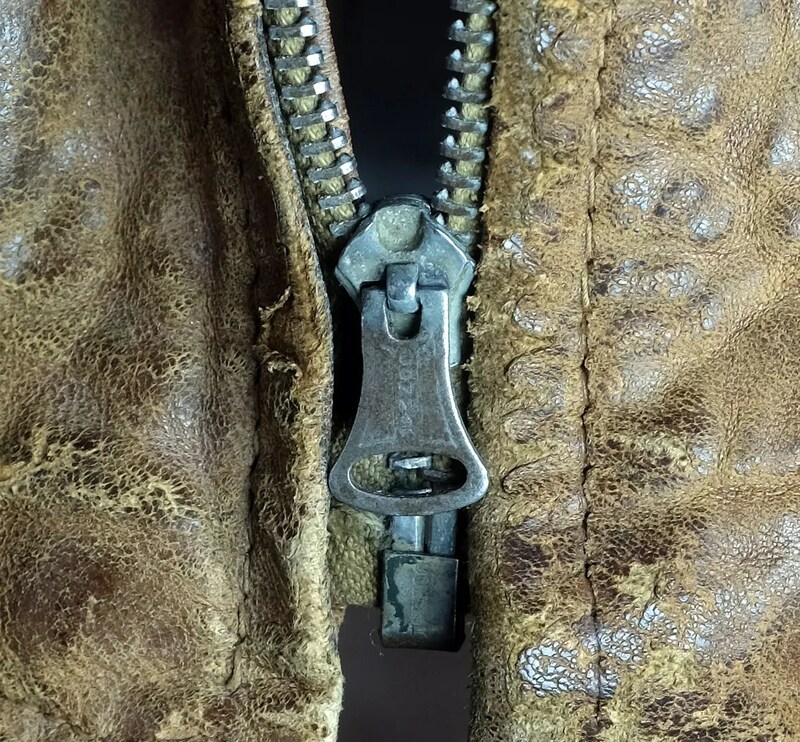 Made from capeskin leather, it has a bell shaped Conmar zipper front, a buttoned throat latch, belt back, side adjusters and pleated back. 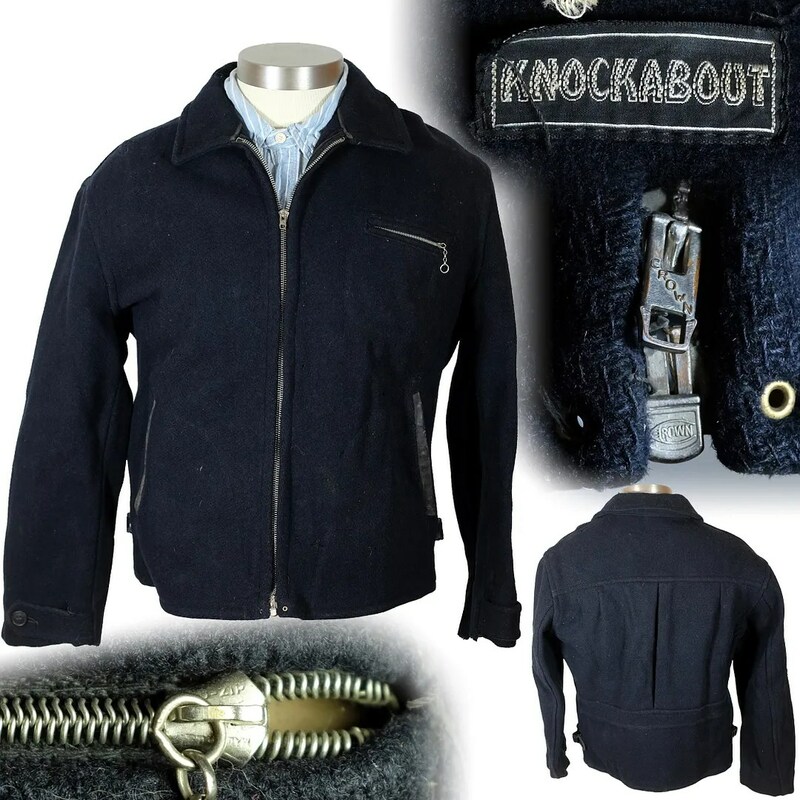 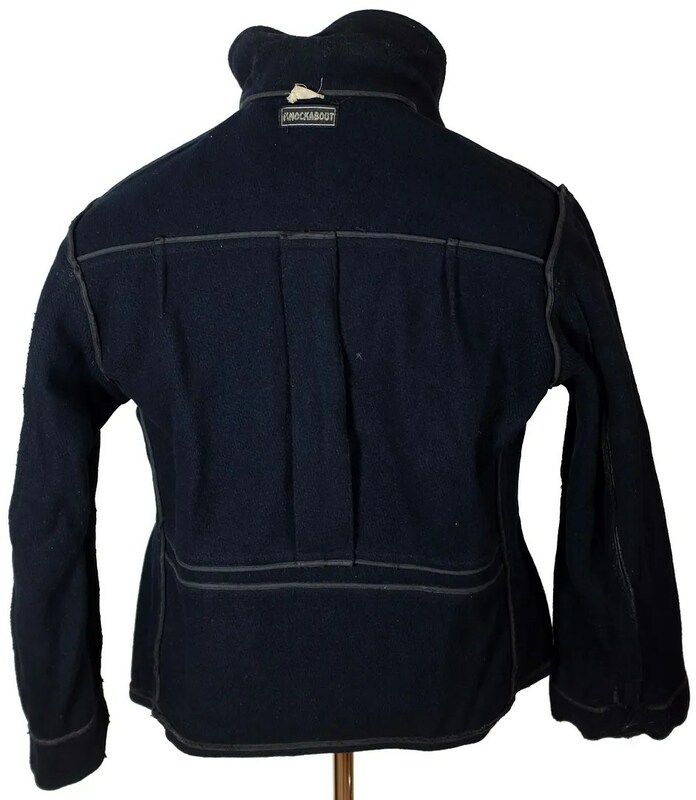 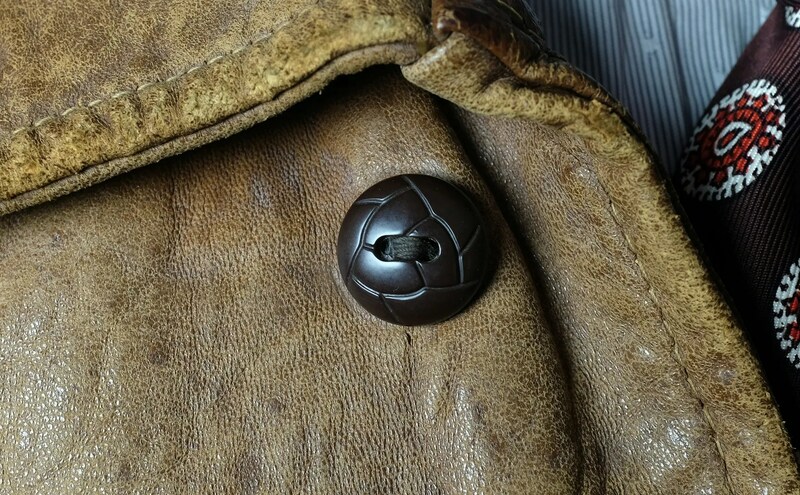 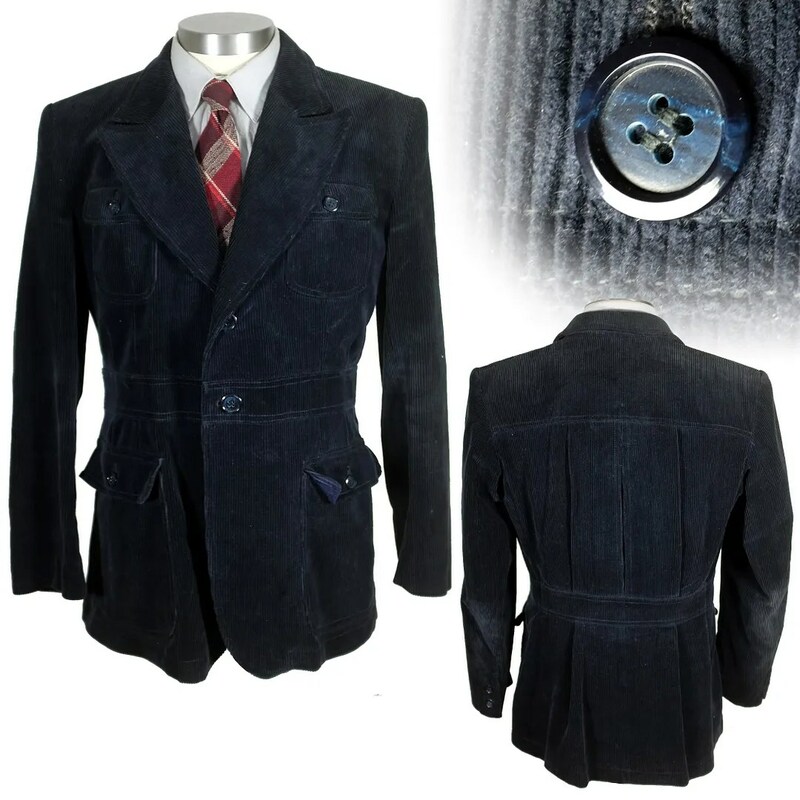 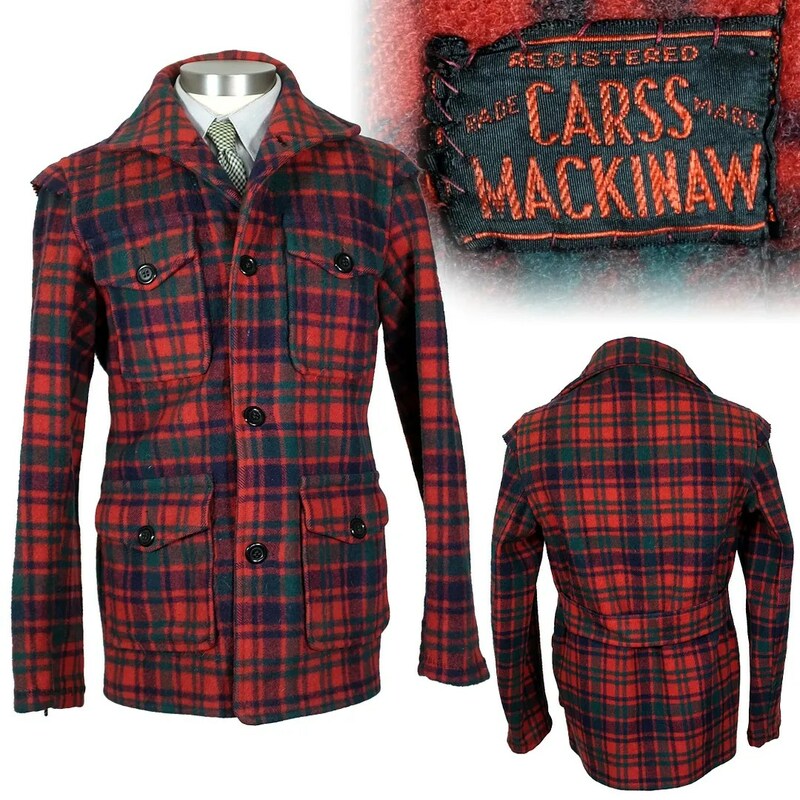 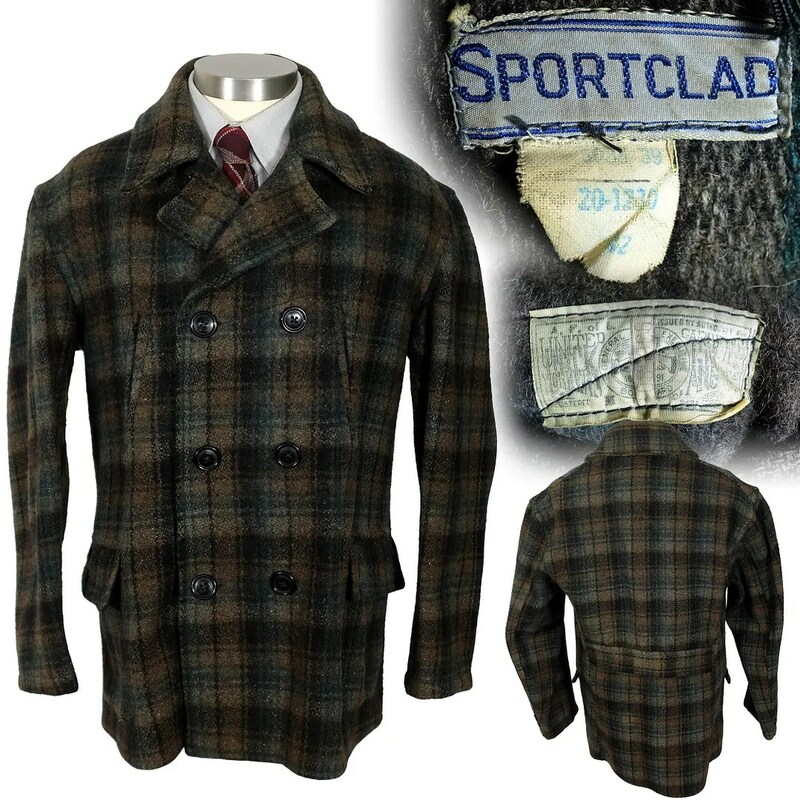 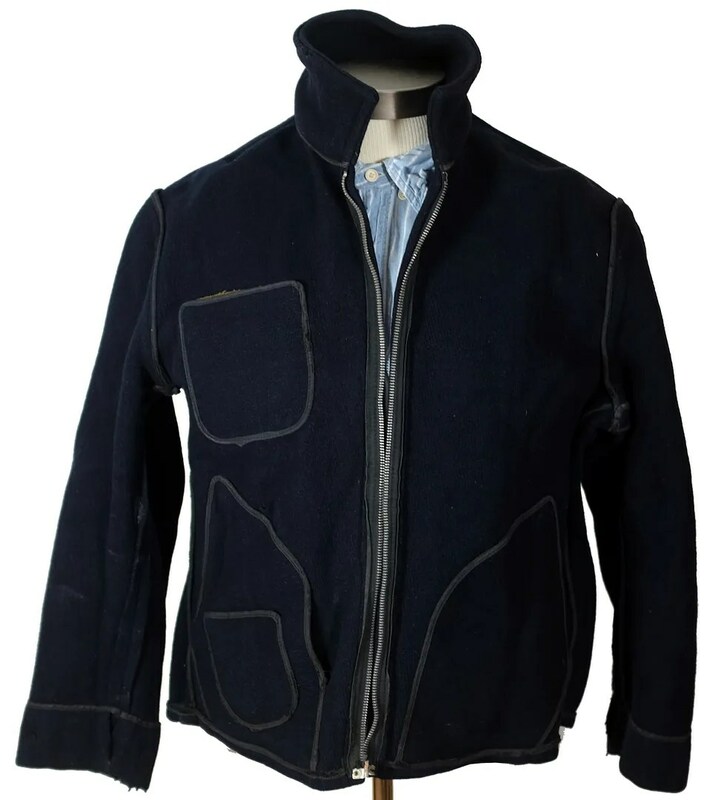 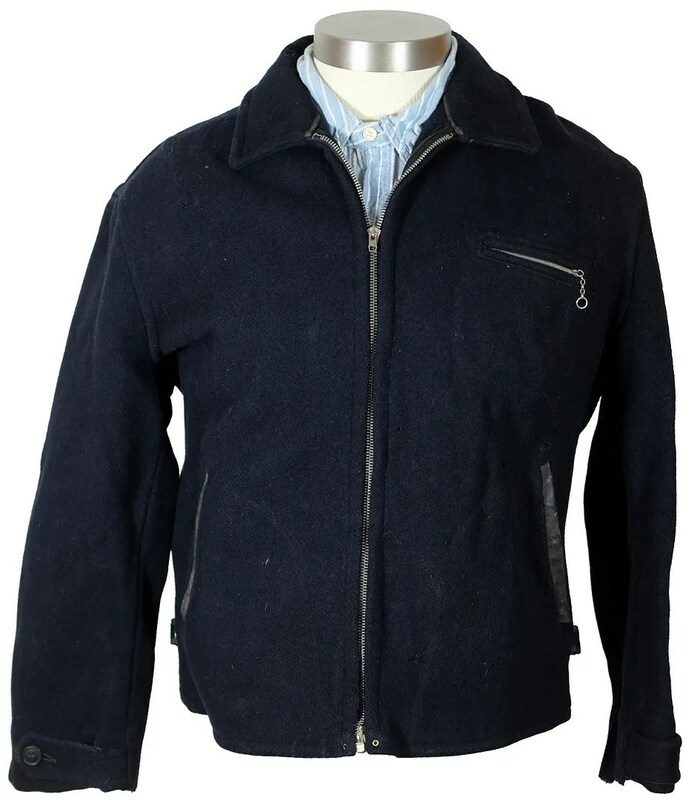 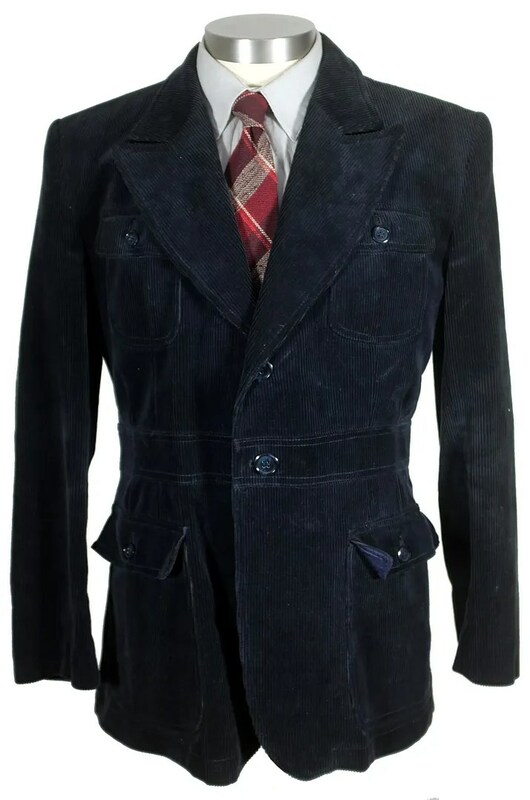 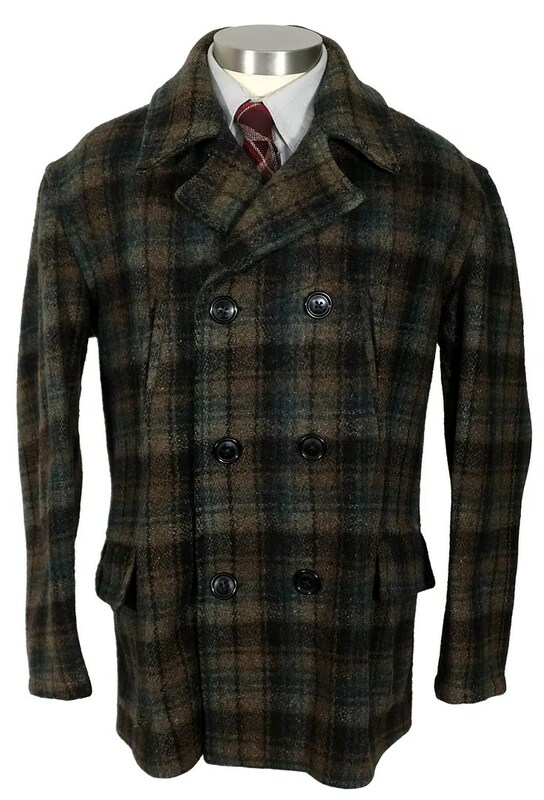 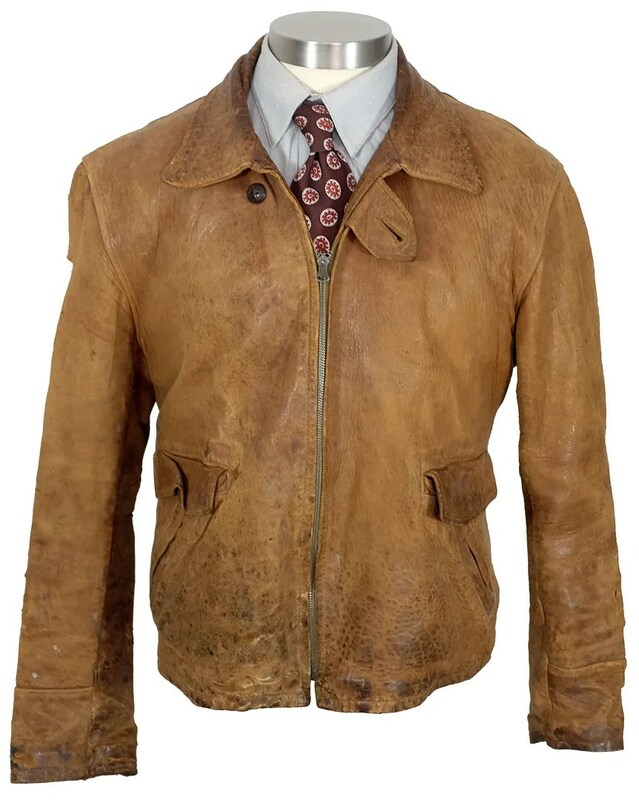 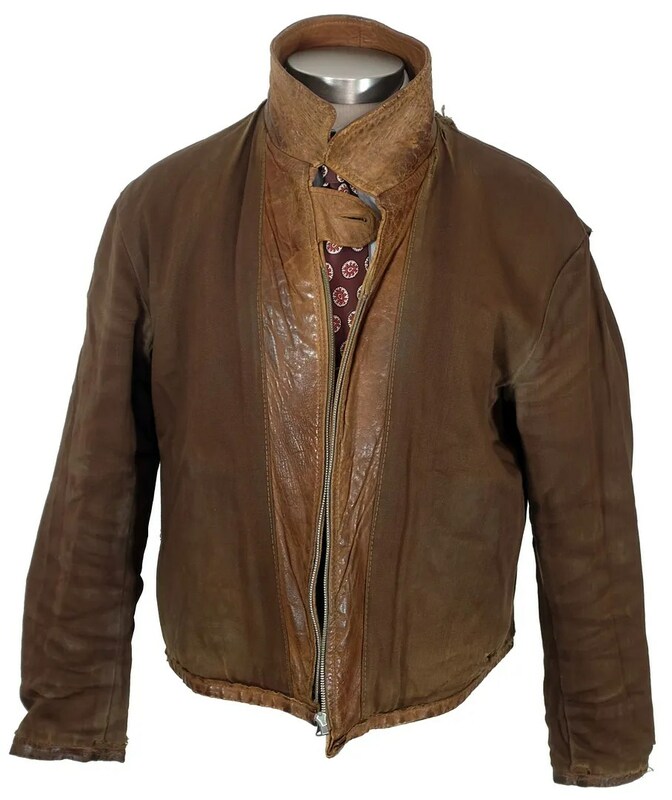 This vintage mackinaw was made in the late 1930s-early 1940s for Penneys and was sold under their Sportclad label. 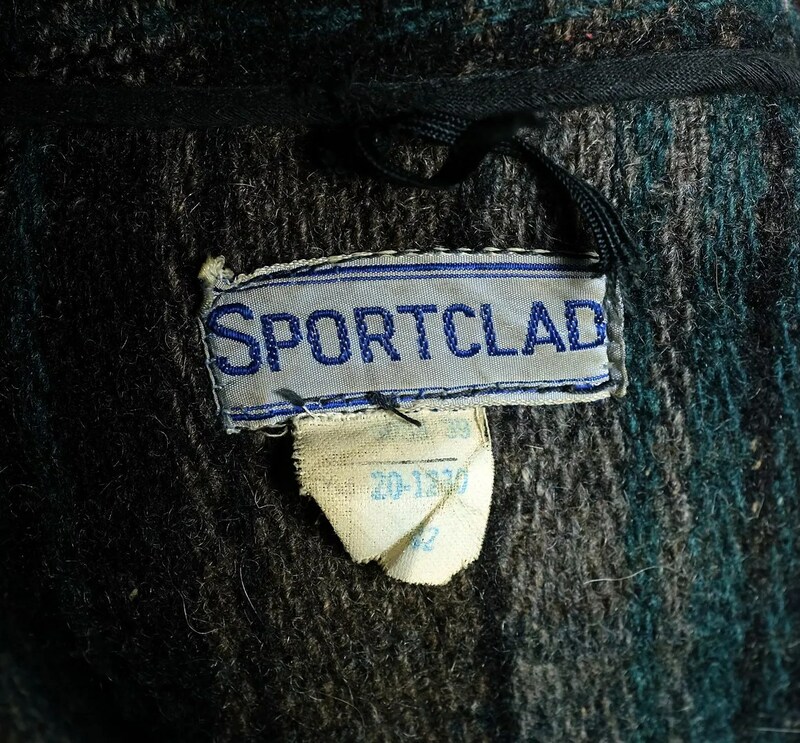 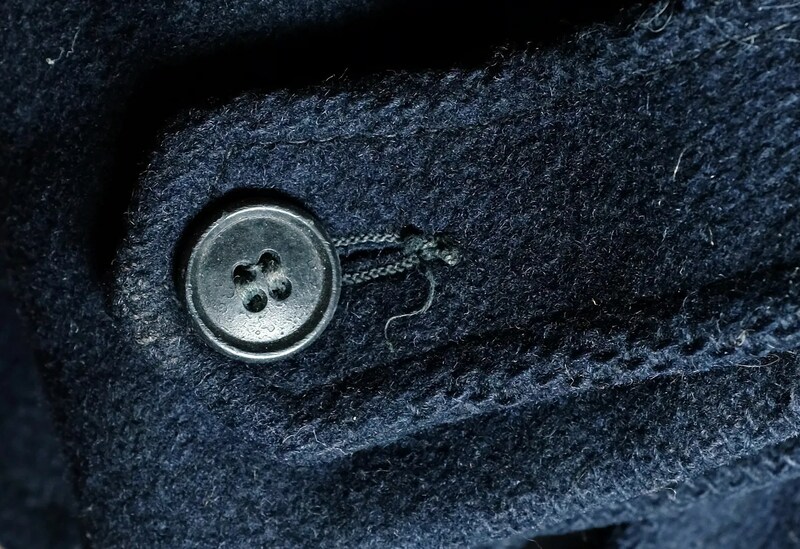 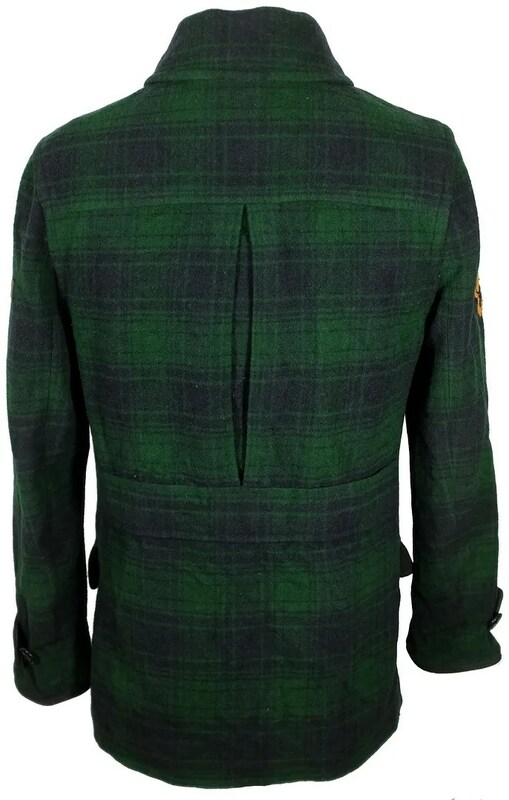 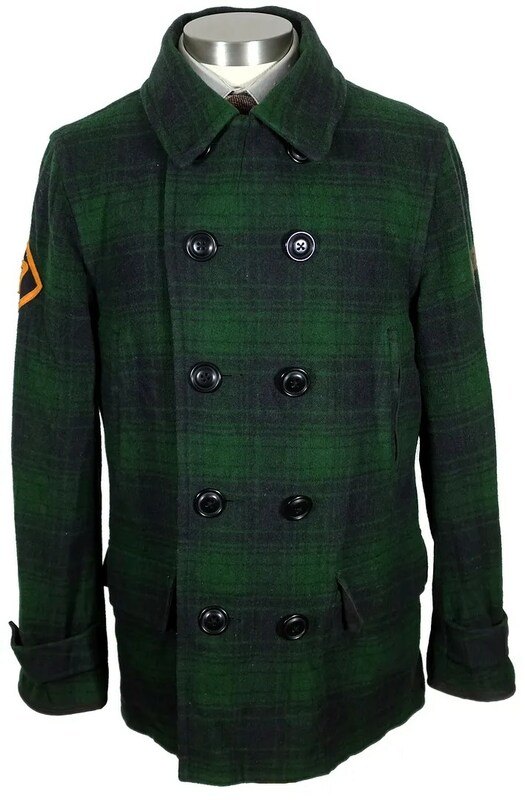 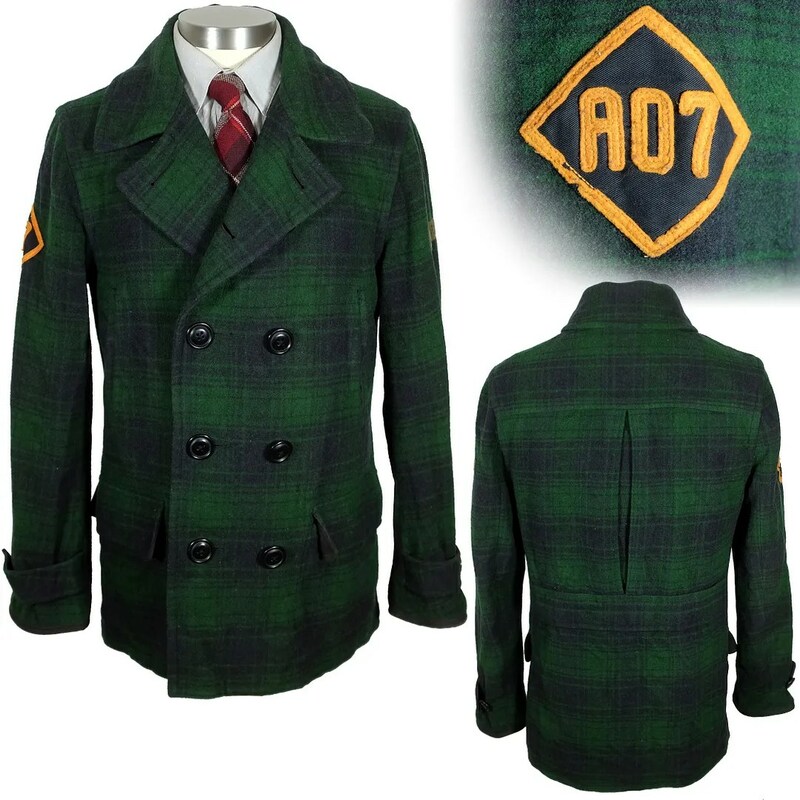 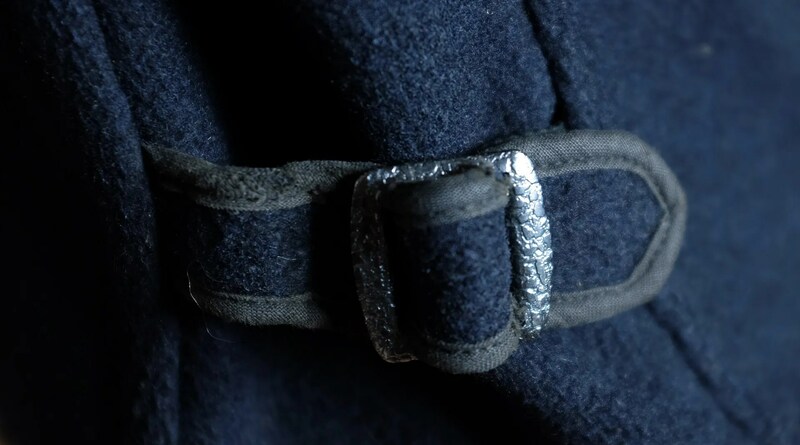 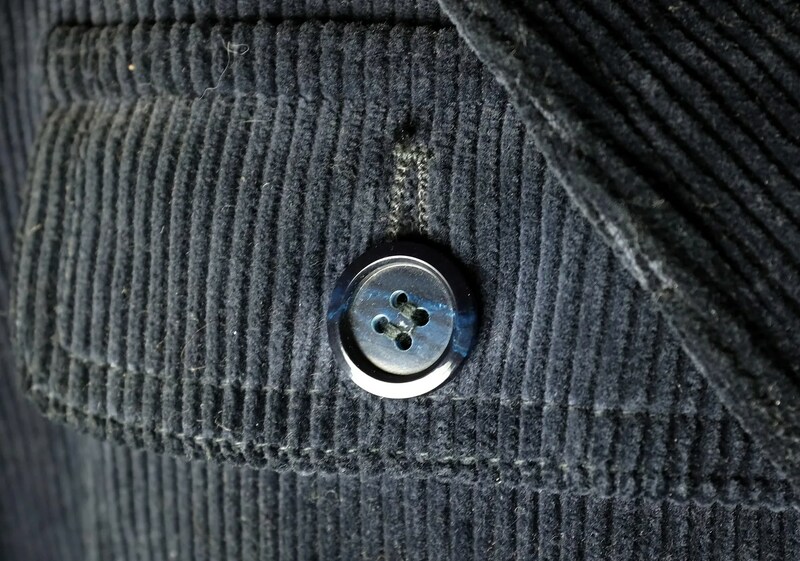 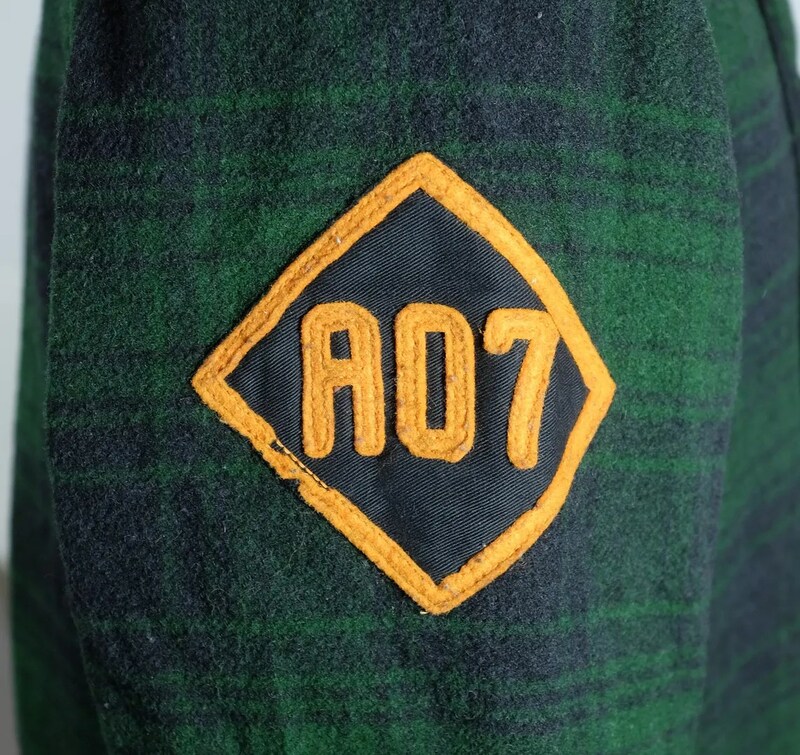 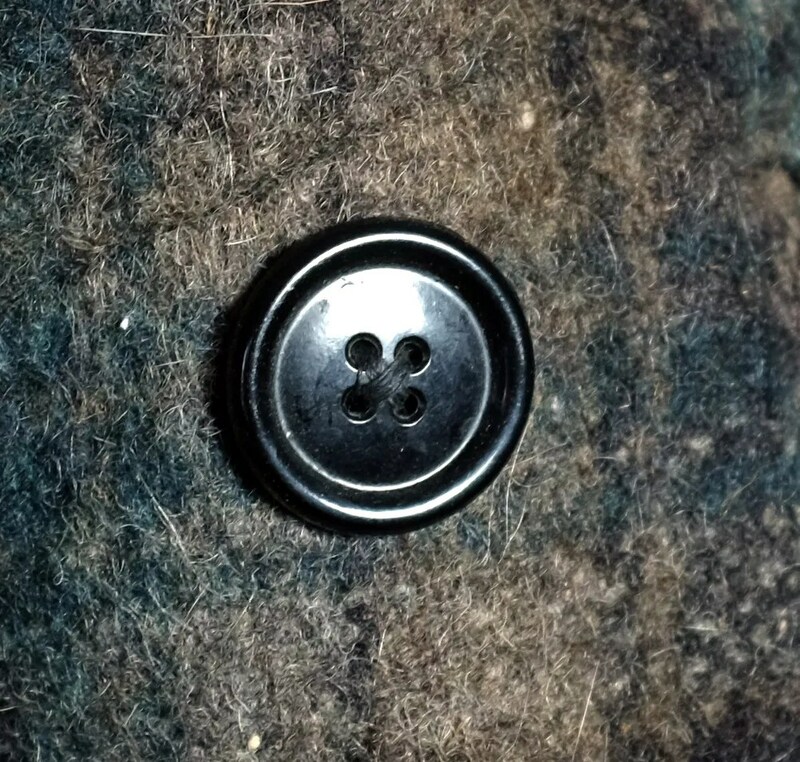 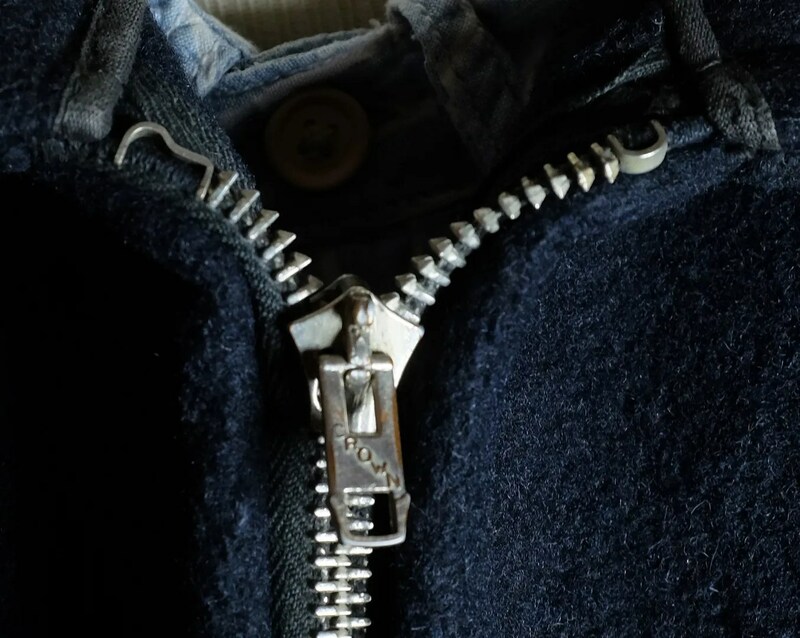 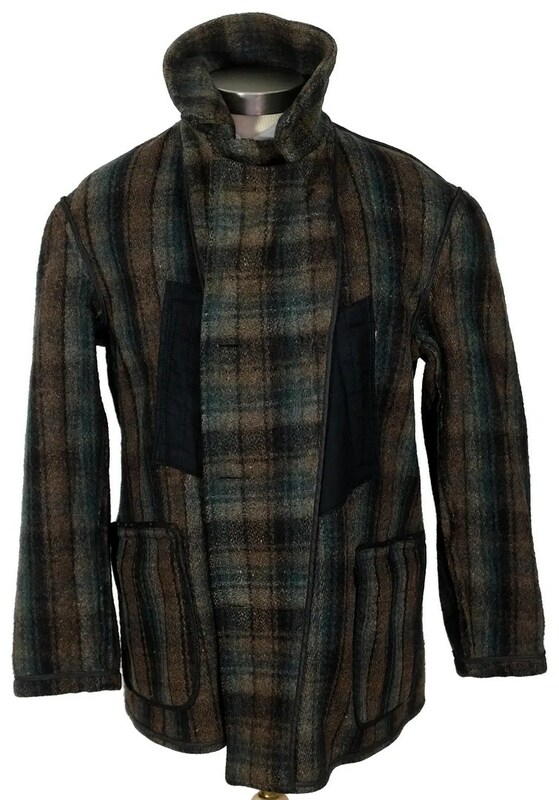 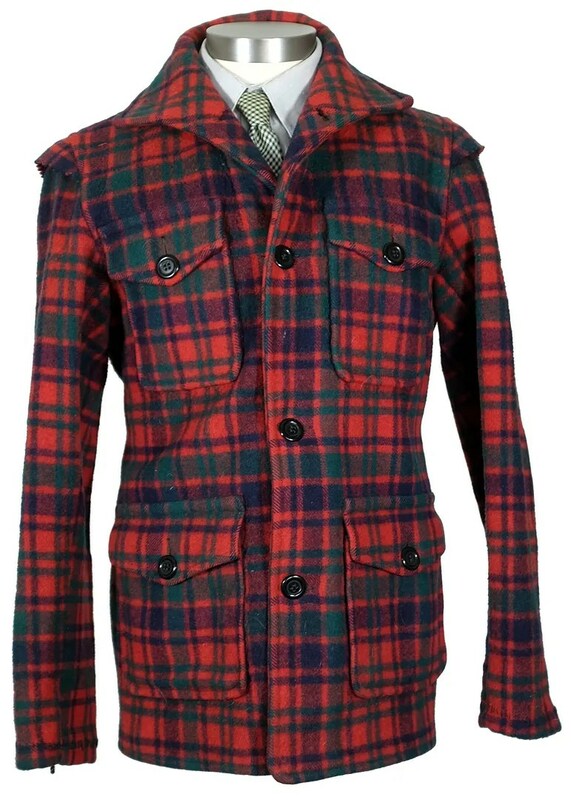 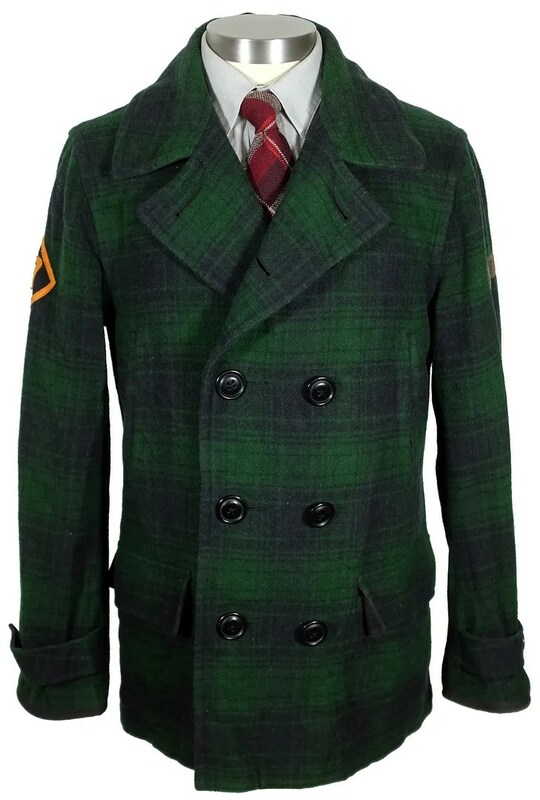 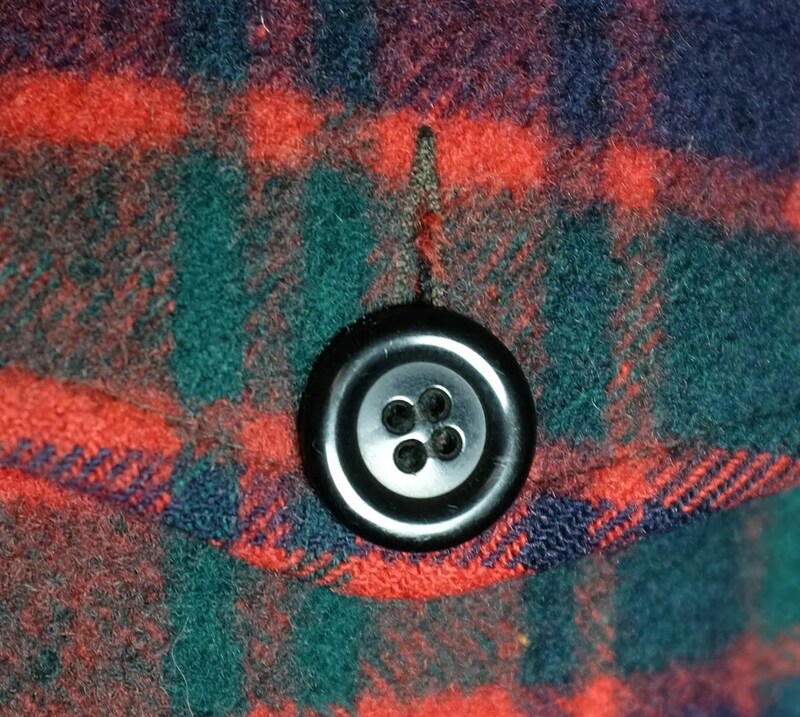 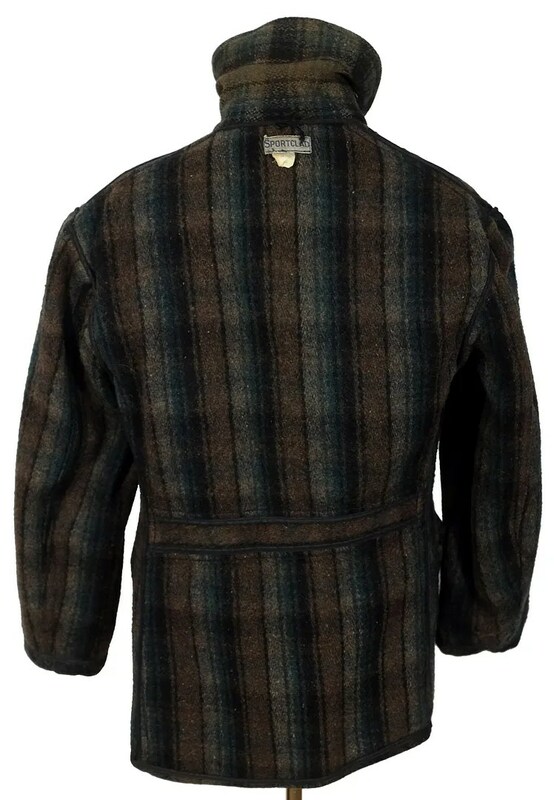 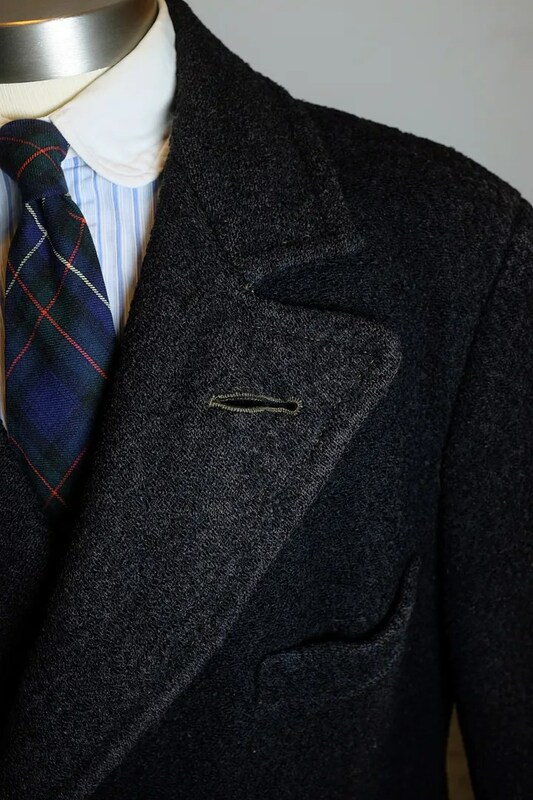 It is a blue-green and brown plaid, with a belt back, double breasted cut, has handwarmer and flapped cargo pockets, and as typical of these early coats, is unlined. 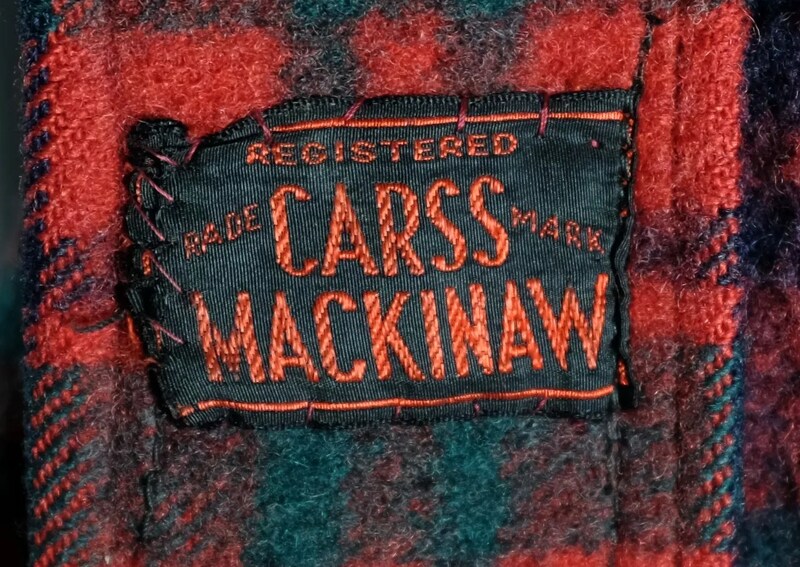 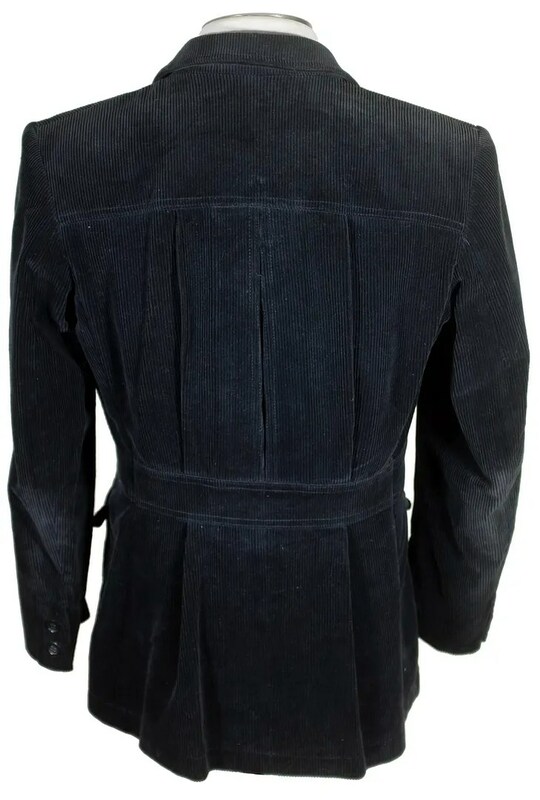 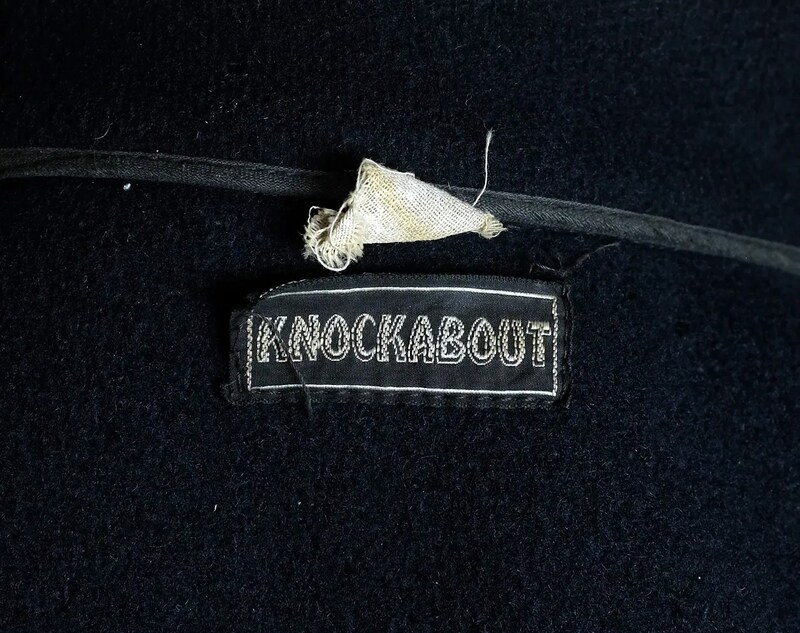 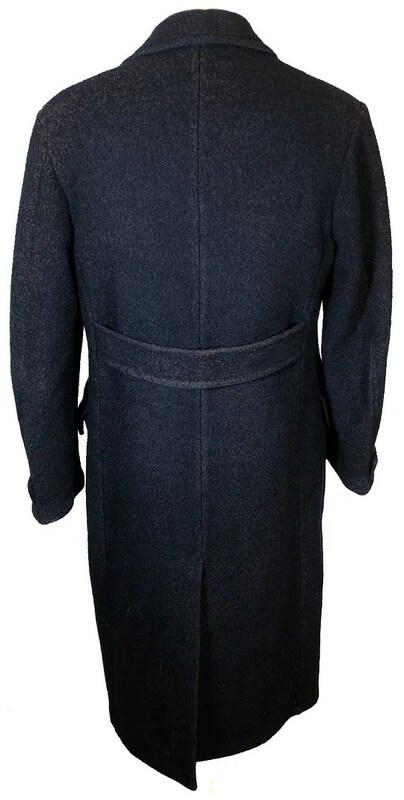 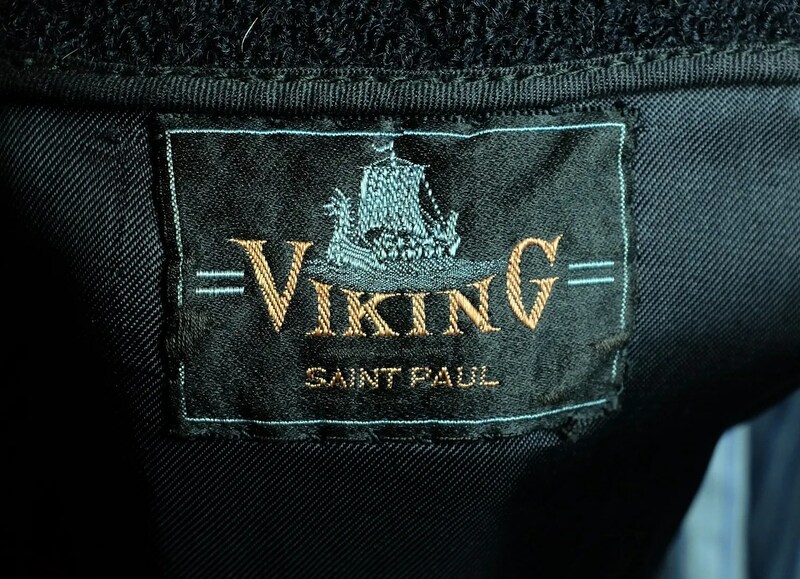 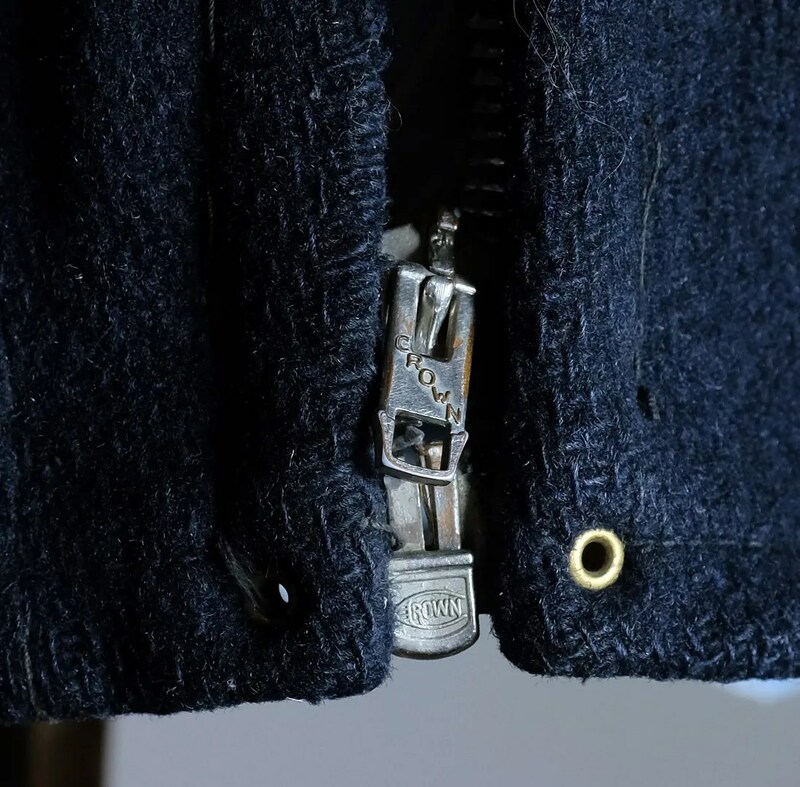 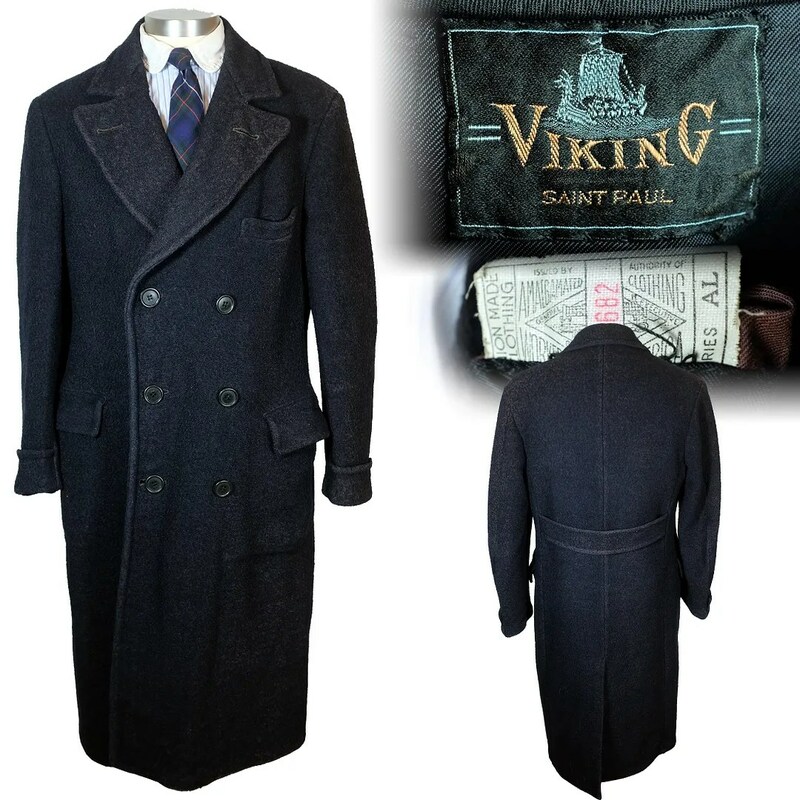 This vintage coat was made in Ontario, Canada in the 1920s- mid 1930s by Carss Mackinaw. 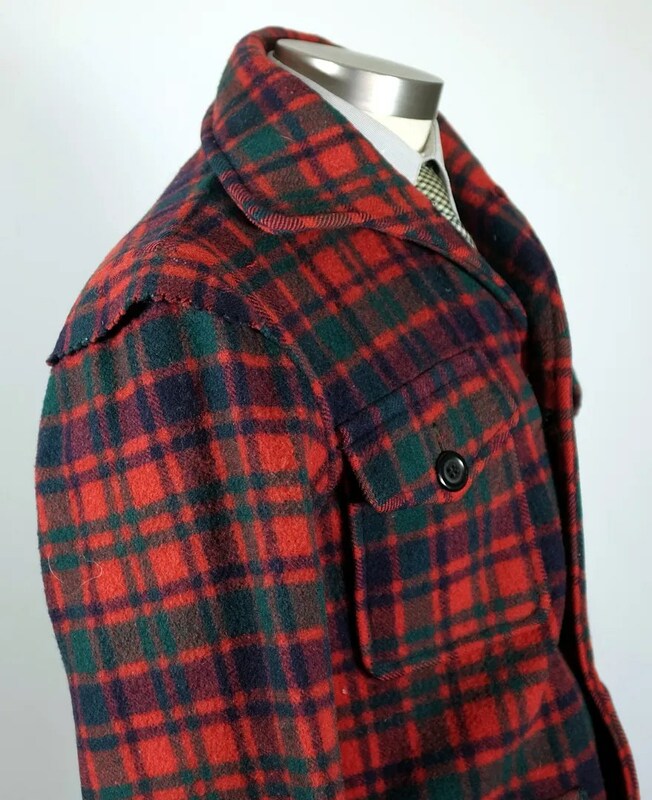 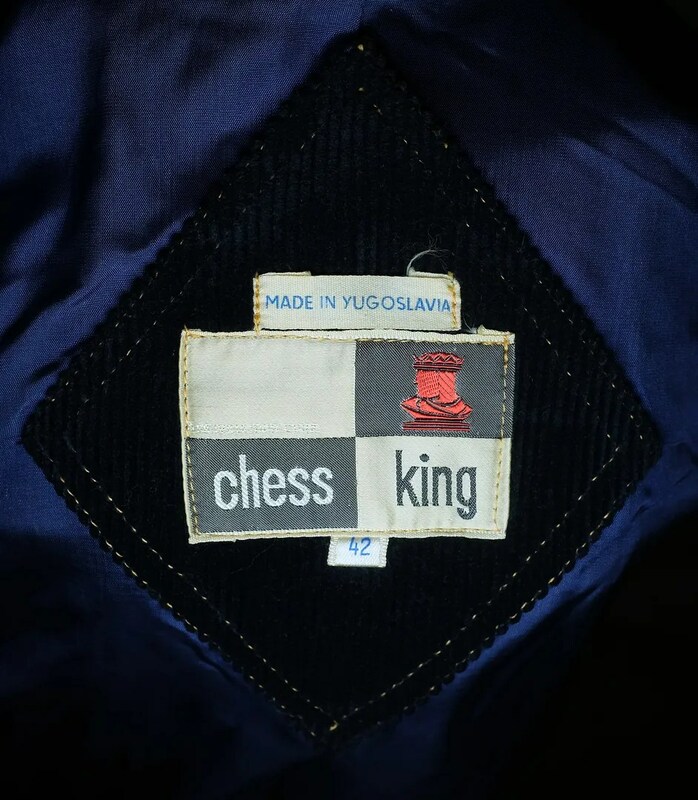 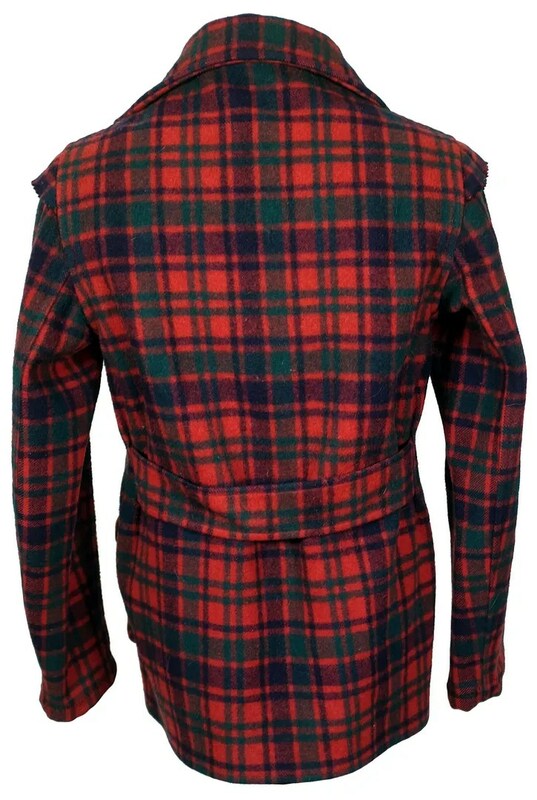 It is made from a distinctive plaid, with caped shoulders, four flapped, buttoned patch pockets, a belted back and a rolled collar. 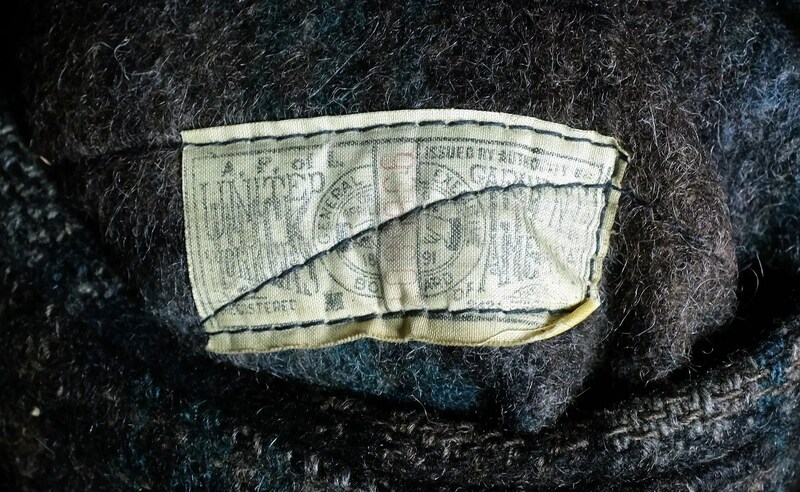 As was typical of work mackinaws of this early period, this one is unlined.